- American heiress, philanthropist, religious sister, educator, and foundress. - Patroness of racial justice and philanthropists. - Feast Day: March 3rd. 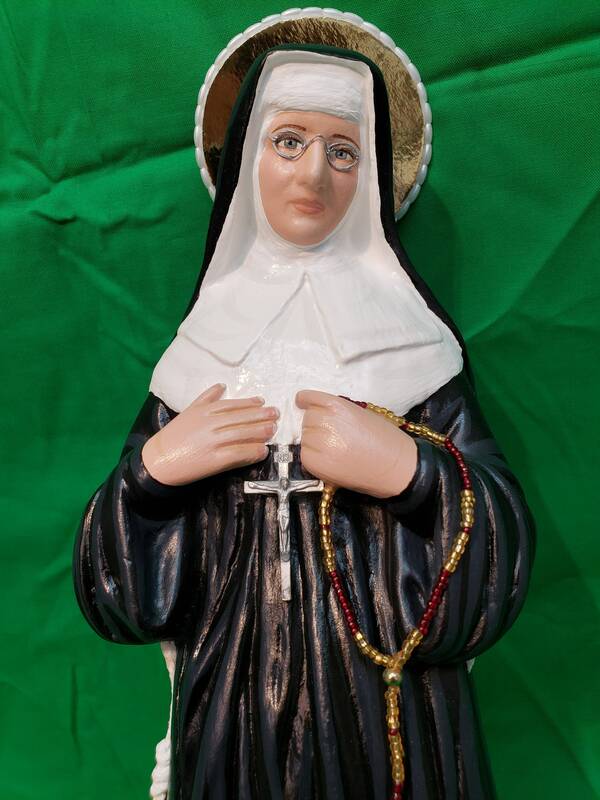 This statue features a magnificent hand painted face and details such as fingernails and eyelashes, hand-made tiny rosary, crucifix, glasses and golden halo. 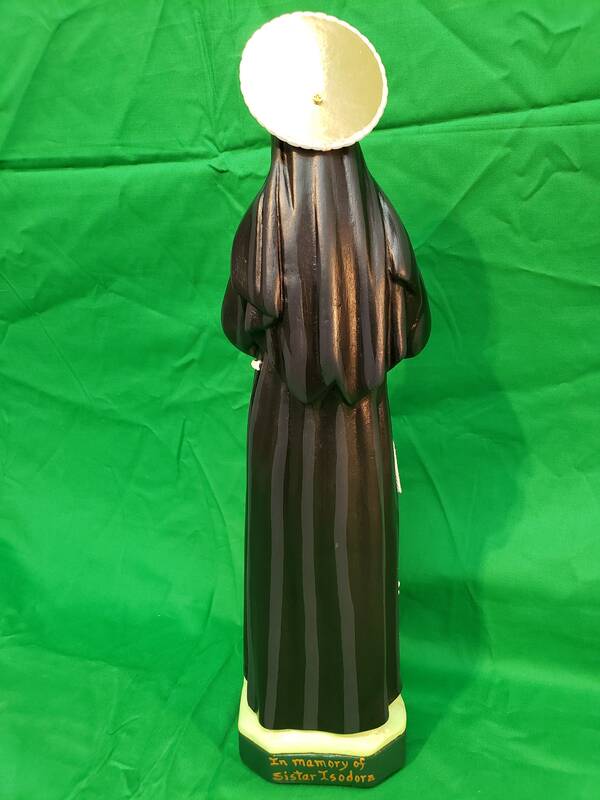 We will also touch a second class relic of St. Katharine Drexel to your finished statue. 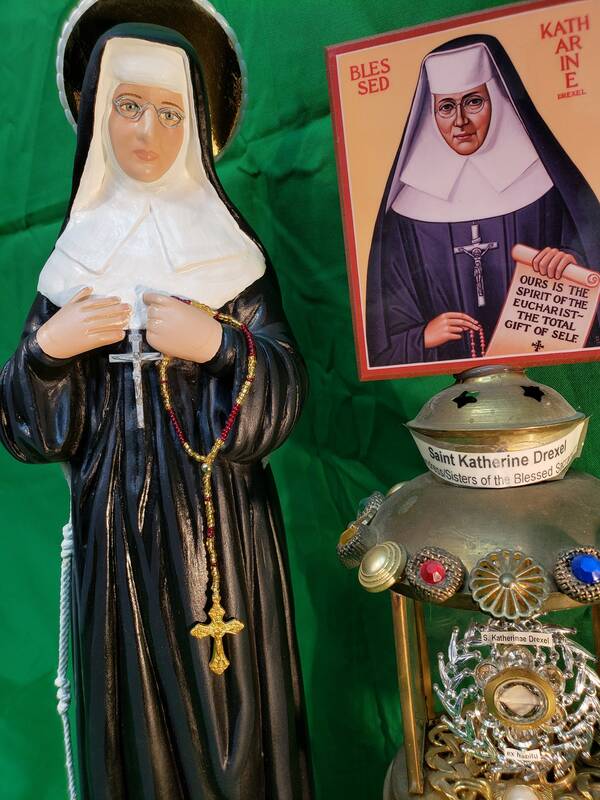 St. Katharine Drexel is the second American-born saint to be canonized by the Catholic Church. 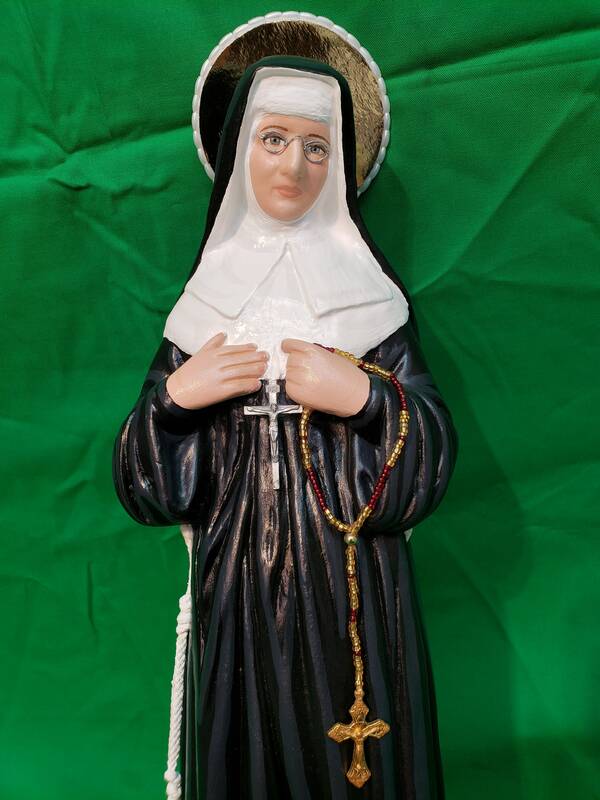 This amazing woman was an heiress to a large bequest who became a religious sister and a brilliant educator. Though Katharine made her social debut in 1879, she never let her family's money adversely affect the way she lived her life and faith. She was an example of a Christian with a proper understanding that the goods of this earth are given for the common good. After watching her stepmother suffer with terminal cancer for three straight years, Katharine also learned that no amount of money could shelter them from pain or suffering. From this moment, Katharine's life took a turn. She became imbued with a passionate love for God and neighbor, and she took an avid interest in the material and spiritual well-being of black and native Americans. Katharine spent much of her time with Father James O' Connor, a Philadelphia priest. He provided her with wonderful spiritual direction. He set up his will in a way to protect his daughters from men who were only seeking their money. If his daughters should die, the money was then to go on to his would-be grandchildren. 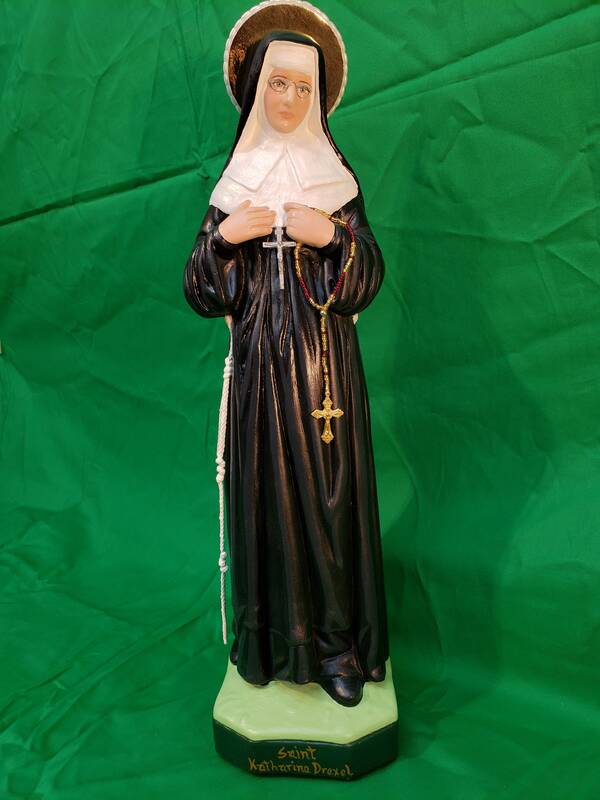 If there were no grandchildren, the Drexel estate would be distributed to several different religious orders and charities, including the Society of Jesus, the Religious of the Sacred Heart, a Lutheran hospital and the Christian Brothers. As one of their first acts following their father's death, Katharine and her sisters contributed money to assist the St. Francis Mission of South Dakota's Rosebud Reservation. After speaking with Father O' Connor, Katharine decided she would give herself and her inheritance to God through service to both Native Americans and African Americans. She wrote, "The feast of St. Joseph brought me the grace to give the remainder of my life to the Indians and the Colored." From the age of 33 until her death in 1955, she dedicated her life and her fortune to this work. 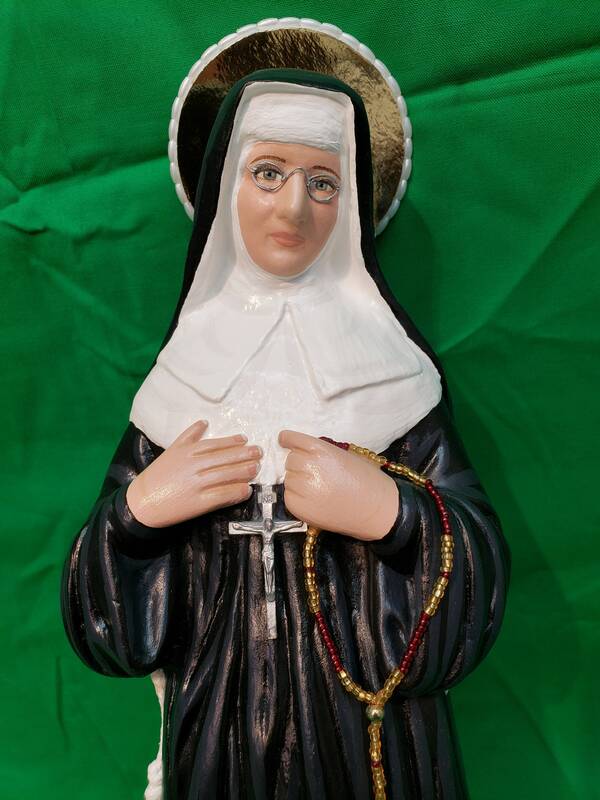 In 1894, Mother Katharine took part in opening the first mission boarding school called St. Catherine's Indian School, in Santa Fe, New Mexico. Other schools quickly followed - for Native Americans west of the Mississippi River, and for the blacks in the southern part of the United States. 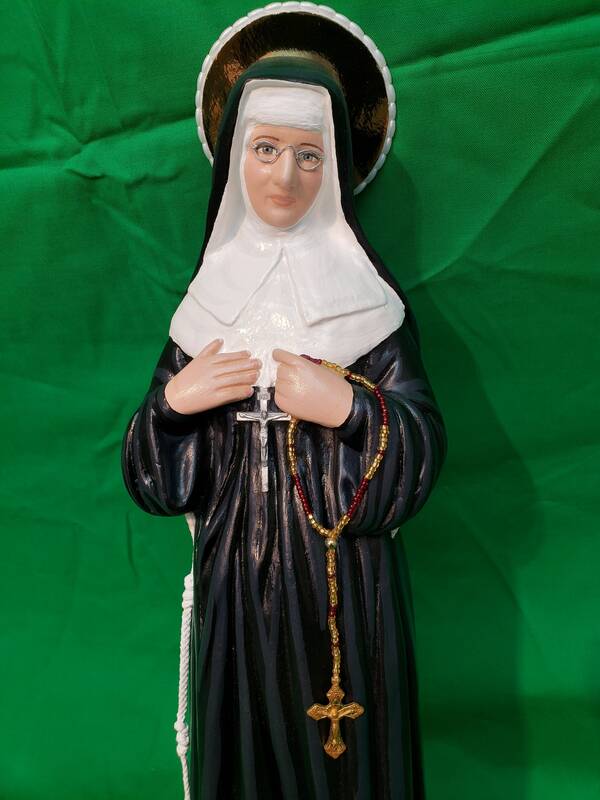 Mother Katharine died on March 3, 1955 at the age of 96. She is buried at her order's motherhouse. 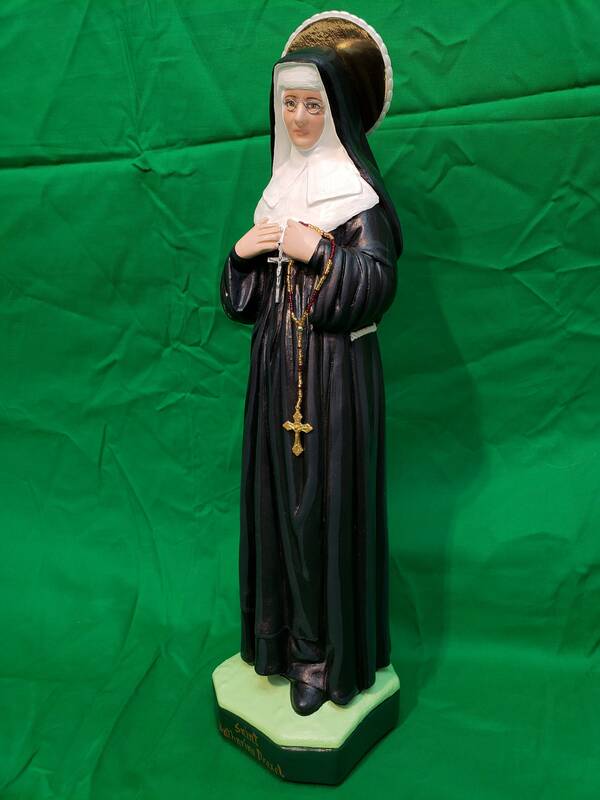 Neither of Katharine's sisters had any children, so after her death, the Sisters of the Blessed Sacrament lost the Drexel fortune that supported their ministries. However, the order continues to pursue Katharine's mission with the African-Americans and Native Americans in 21 states and in Haiti. 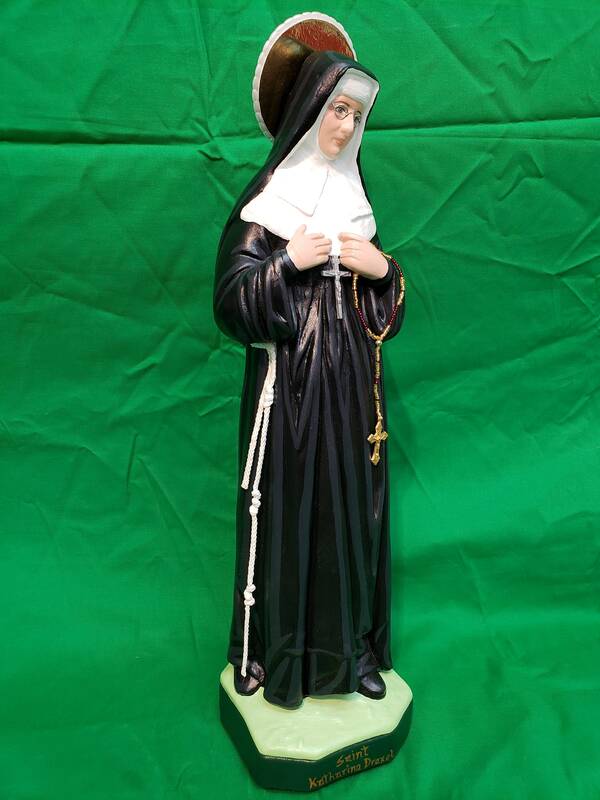 St. Katharine was beatified on November 20, 1988 and canonized on October 1, 2000 by Pope John Paul II.